How big will the iPhone be? 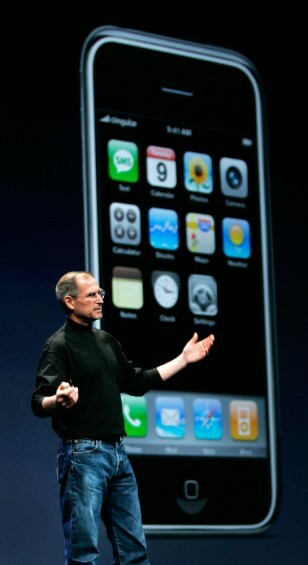 Apple CEO Steve Jobs shows off the new iPhone at the MacWorld Conference & Expo in San Francisco last January. Despite some early skepticism, analysts are expecting strong sales for the combined wireless communicator and media player.